Garbine Muguruza begins her Wimbledon title defense by defeating Naomi Broady 6-2, 7-5 in the first round. 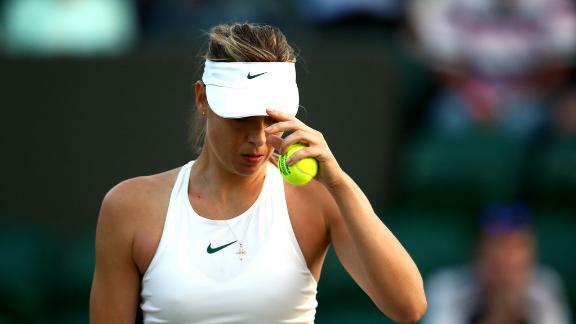 Petra Kvitova is out at Wimbledon after a first-round loss to Aliaksandra Sasnovich. 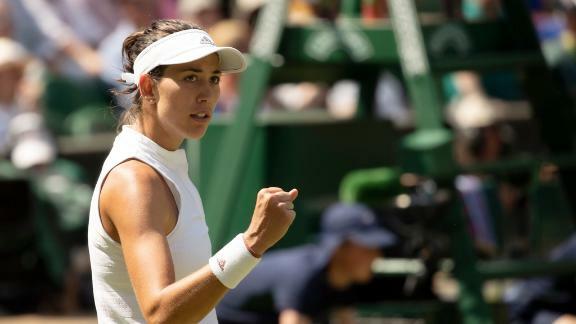 LONDON -- After losing just one set on her way to the Wimbledon title a year ago, Garbine Muguruza picked up exactly where she left off at the All England Club. The No. 3-seeded Muguruza was hardly troubled in beating British wild card Naomi Broady 6-2, 7-5 on Tuesday. Muguruza saved the only break point she faced and could have ended the encounter more swiftly had she been more clinical with her own chances. "I'm pretty happy with my serve and controlling the emotions," Muguruza said. "You know, to be back in a Grand Slam is always difficult, so I'm excited with the way I'm playing." The usual adulation afforded to the reigning champion fulfilling the honor of opening proceedings on Centre Court on Day 2 of the tournament was tempered by the nationality of Muguruza's opponent. Muguruza was duly honored, but the British crowd backed Broady. 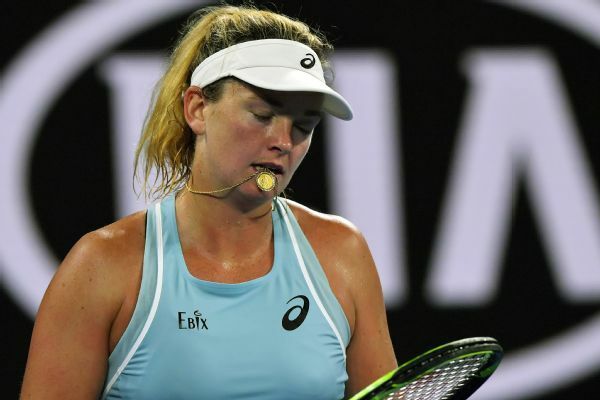 However, the 2016 French Open champion quickly dispelled any thoughts of an upset by breaking Broady's opening service game, and did it again to take the first set 6-2. Broady saved six break points in the second set before succumbing to Muguruza's constant pressure in the 12th game. 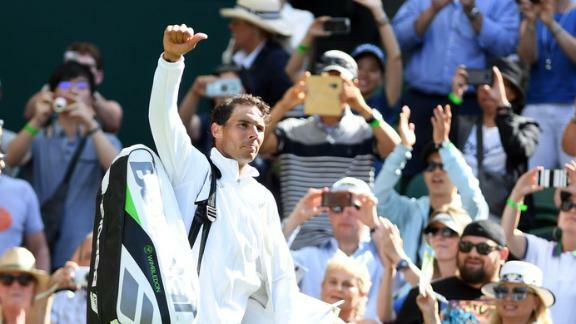 The Spaniard, who failed to reach the quarterfinals at the US Open and Australian Open before reaching the semifinals at this year's French Open, enjoys playing on grass courts. "The fact that it's different surfaces, it helps," said Muguruzaj, who next faces unseeded Belgian Alison Van Uytvanck. Top-ranked Simona Halep eased into the second round with a 6-2, 6-4 win over Kurumi Nara of Japan. Simona Halep celebrates winning a point against Japan's Kurumi Nara during their first round match Tuesday. 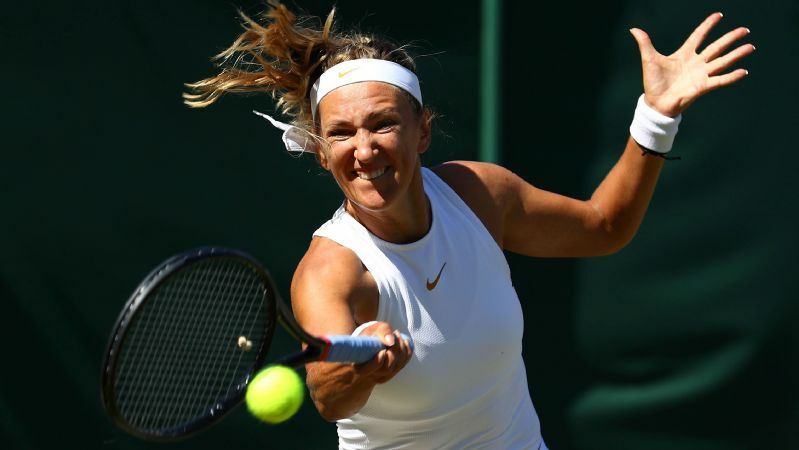 Two-time Wimbledon champion Petra Kvitova was stunned in the first round by 50th-ranked Aliaksandra Sasnovich of Belarus 6-4, 4-6, 6-0. The eighth-seeded Kvitova entered Tuesday with a tour-leading 38 victories this season and was coming off a grass-court title at Birmingham last month. Kerber lost the 2016 final to Serena Williams -- who also beat Zvonareva in the 2010 title match -- and reached the second round for the seventh straight year. Johanna Konta, who knocked out Halep en route to the semifinals a year ago, made it through to the second round by defeating Natalia Vikhlyantseva of Russia 7-5, 7-6 (7). The 26th-seeded Gavrilova cruised past U.S. lucky loser Caroline Dolehide 6-2, 6-3. She will face Stosur in the next round, after the 2011 US Open champion defeated Shuai Peng of China 6-4, 7-5.